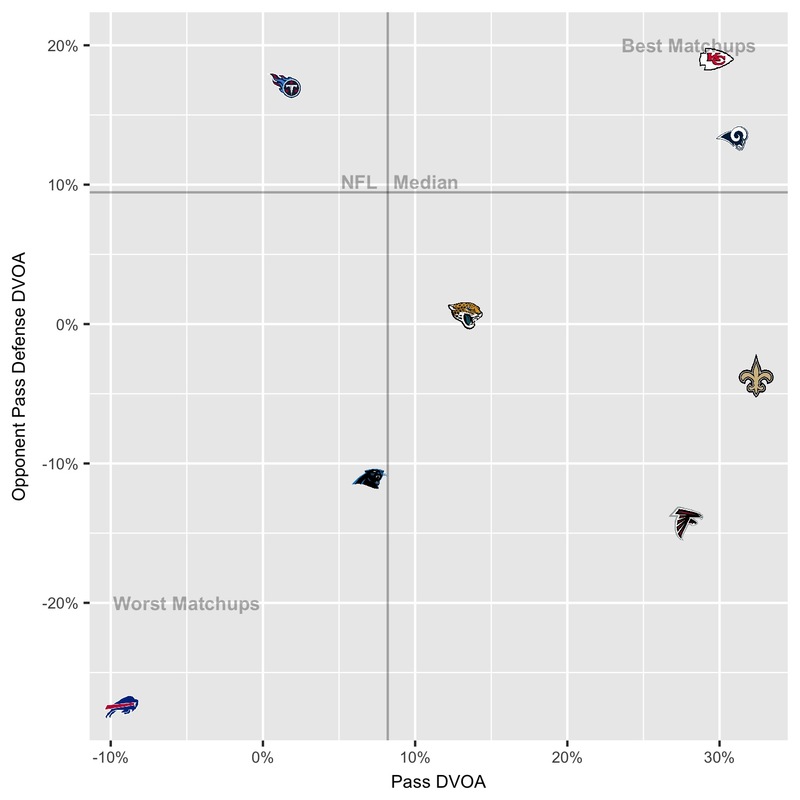 The Bills are the only playoff team outside of the top 20 in pass offense. Of the top 10 pass offenses this year, eight of them made the playoffs. 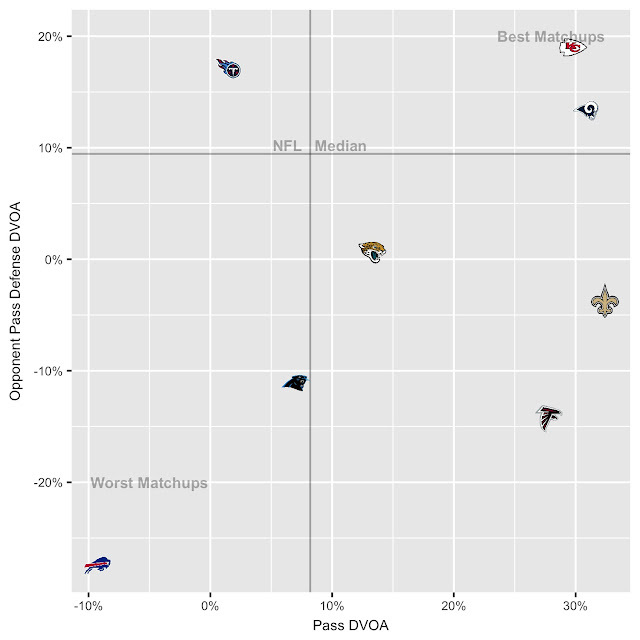 Only four of the 20 worst pass defenses made the playoffs. All 12 playoff teams finished in the top 20 rush offense. Six of the top 10 rush offenses in the NFL made the playoffs. Eight of the 15 worst run defenses in the NFL made the playoffs. 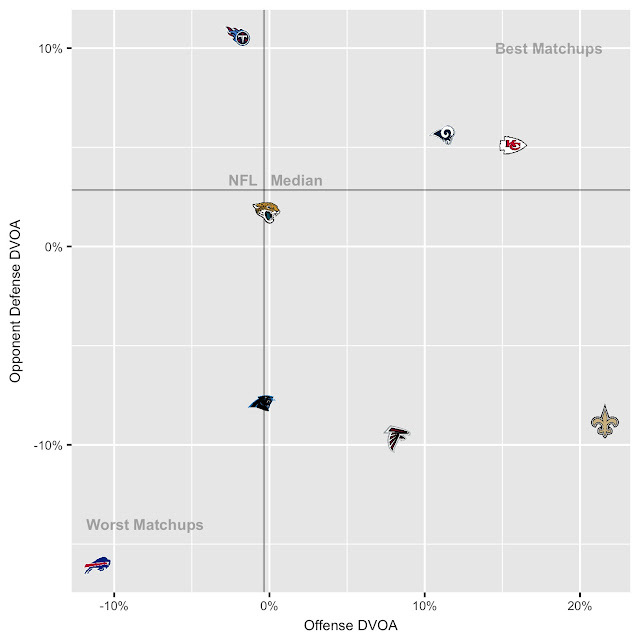 Chiefs, Bills & Patriots were the leagues worst against the run. Four of the top 7 run defenses made the playoffs. The Saints, Patriots, Chiefs, Steelers and Rams had a top 10 rush and pass offense. 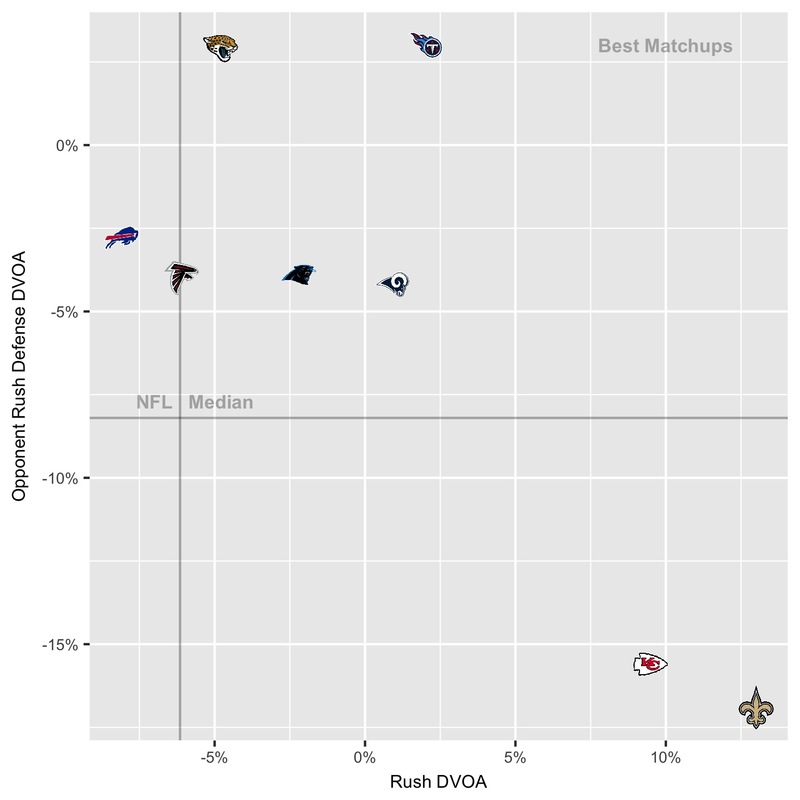 The Chiefs, Patriots and Falcons were the only playoff teams with a bottom 15 rush and pass defense.